What are the Symptoms and Causes of Narcolepsy? When Does Fatigue Turn Into Narcolepsy? A few decades ago, it may have seemed ridiculous to purchase a mattress online. In total, the mattress market brings in about $15 billion per year, according to Crunchbase News. The traditional mattress greats, such as Tempur Sealy, bring in $3 billion in sales every year. However, in 2015, Inc. reported that the online mattress industry was becoming a crowded marketplace. Online mattress stores doubled their sales between 2016 and 2017, says Visual Capitalist. Startups began to differentiate themselves from the mattress incumbents by offering a variety of options made with new technologies. Now, they’re competing with traditional mattress companies, using innovative marketing, cutting out the middleman and educating consumers about how their products will help them get a good night’s sleep. These new kids on the block are bringing in big bucks too. Newcomer Saatva had $29 million in sales in 2014. 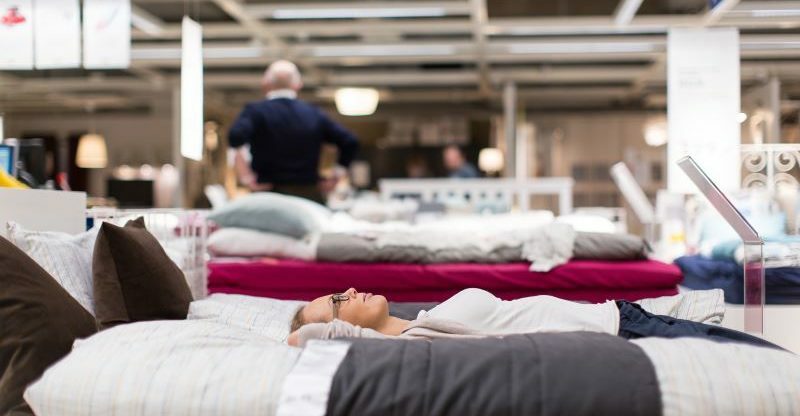 People are doing research online instead of focusing on trying out mattresses in stores. Features like free delivery, trial periods and compressed mattresses are making purchasing via the internet more convenient. In fact, 29 percent of consumers say that they prefer shopping at mattress stores online because they want to avoid going to the store. These five companies offer the best online mattresses if you look at their sales and popularity. They’re not all bed-in-a-box brands, either. Some provide luxury innerspring options that rival major retail brands that you might find in a furniture store. 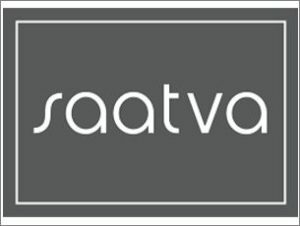 Saatva claims to be America’s leading online luxury mattress brand. Its products are made in the United States with eco-friendly and recycled materials. Saatva doesn’t offer completely organic mattresses, but it chooses materials carefully and avoids using toxic chemicals that will off-gas once they’re in your home. The mattresses feature a proprietary coil-on-coil system that prevents sagging. Saatva mattresses come in three comfort levels to please the majority of consumers. One of the most notable features is the adjustable base, which provides weightless, balanced support and even has an incorporated massage function. Purple mattresses are constructed with a Smart Comfort Grid, which flexes in the right places to support your pressure points and adapt to any sleep position. The breathable design also allows for maximum airflow, which helps to regulate your body temperature. Purple was started by two brothers who developed Floam, a fluid that provided efficient cushioning for wheelchairs. The material was used in a variety of products, from sneakers to industrial knee pads, and the Purple brand developed as the brothers developed superior cushioning technology that was cheaper than its predecessors and nontoxic. The Nectar mattress is made of memory foam that’s created without mercury, lead, ozone depleters, TDCPP or PBDEs. The high-quality mattress offers a level of firmness that’s not too soft or hard. The top layer is quilted, which enhances ventilation. The soft Tencel cover prevents heat and moisture from building up next to your body. It arrives in a compact package, and it’s easy to unroll and install. Nectar also features the longest trial in the online mattress industry. 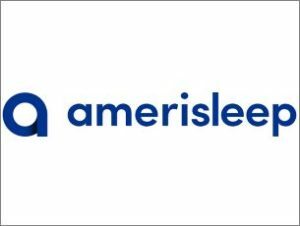 Amerisleep mattresses are made of Bio-Pur foam, which offers support and wicks away heat so that you rest comfortably. The materials are derived from plants, and the manufacturing process produces no emissions. This mattress sets up easily. Simply bring the box to your bed, unroll the mattress, and allow it to expand. Casper prides itself on using high-quality foam with no fillers to deliver some of the best online mattresses. Casper mattresses come in three styles, from the 11.5-inch thick, five-layer Wave to the 9.5-inch thick, three-layer Essential. All of them offer a balanced, supportive feel. The thicker versions have more ergonomic technology to relieve pressure points. These Online mattress stores are also strong contenders and offer high-quality products. The Leesa mattress is another foam option that contours your body while it keeps you cool. Three layers are ideal for any body type or sleeping position. The mattresses are made in the U.S. This company also donates one mattress for every 10 that it sells. Tuft & Needle says that it makes the Internet’s most-loved mattress. The adaptive foam offers comfort with mid-range support. It also features heat-wicking graphite and cooling gel. The mattress is wrapped in a luxurious cover that’s as plush as it is breathable. You might be more familiar with the Tempur-Pedic than some of these other mattress stores. Whereas many mattress companies online sell a limited range of styles, Tempur-Pedic offers a few different collections and several levels of firmness. All of the mattresses feature an EasyRefresh top cover, which zips on and off so that you can remove it easily for washing. GhostBed mattresses are made of memory foam and latex without the addition of harmful chemicals. It comes in two options, including the GhostBed Original and GhostBed Luxe. Both allow for proper alignment of your spine, and the manufacturer says that they make you feel like you’re sleeping on a cloud. Puffy claims that it uses higher quality foams than other mattress companies. Because foam degrades when it is compressed tightly for a long period of time, Puffy makes its products in small batches, leaving them compressed for only a few weeks before they’re shipped out. The mattresses are made in the U.S. with environmentally friendly practices. You can choose from the Puffy or the Puffy Lux. Both incorporate cooling technology and have a removable, washable cover. One of the best ways to decide which mattress is best for you is to read reviews. Whereas traditional mattresses may have had certain styles for different types of sleepers, most of the memory foam mattresses described here are designed to be comfortable for anyone. All of these companies offer some kind of trial or return. That means that you can bring the mattress into your home and sleep on it for several weeks to determine if it’s really the best option for you. You don’t have to stress out about making the right decision the first time. Many internet mattress companies will also remove your old mattress. If it’s time to upgrade your mattress, consider one of the online mattress stores mentioned above instead of heading to the showroom. You can do your research from the comfort of your own home so that you can rest comfortably every night for the rest of your life. Mattress Market Note: According to Fast Company and Inc.com, traditional brick-and-mortar, (aka physical) mattress companies still control the market. Overall, the mattress industry produces a little over $29 billion ($29.1). The content provided by GetMoSleep.com is intended for informational and or educational purposes only. It is strongly suggested that you consult your healthcare provider for any sleep related problem(s) you may be having. 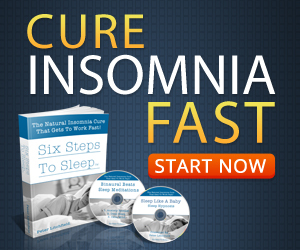 Note: GetMoSleep.com participates in various affiliate advertising programs. These programs help this website pay for it’s operating expenses. Get Mo Sleep Copyright © 2019. Become a Subscriber and Download It Instantly!